SUMMARY: Joe Guy, an Australian cowboy and singer/song writer, is living a dream: to celebrate his 40th birthday riding solo across the U.S. He is doing it like cowboys used to. He has no support car, no fresh horses waiting for him; he sleeps under the stars, using his saddle as a pillow. And, along his journey, he's helping the people he comes across in many different ways. 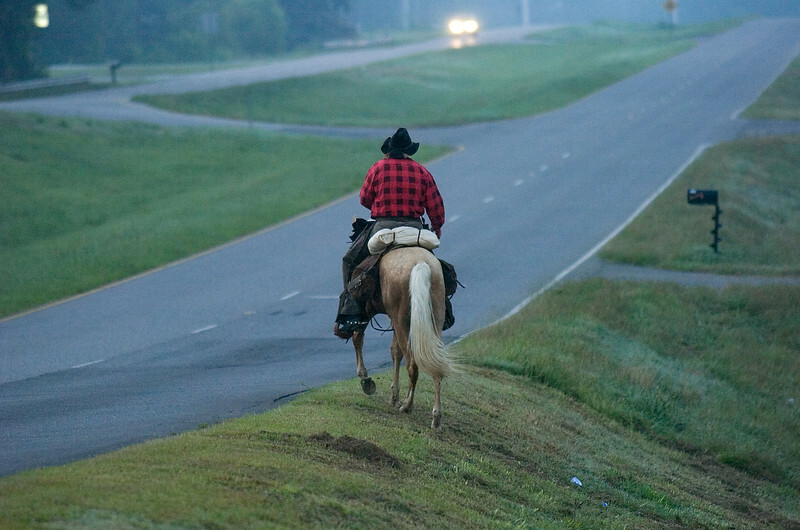 Pictured - On Sunday, June 7, 2009, Joe Guy gets up at dawn and starts riding around 5 a.m. He has to cover as much distance as possible before the heat of the day affects his horse, "Bon Jovi".